We aren’t sure if this is an error or simply the greatest deal of the year in mobile. Walmart, through their online wireless store, is selling the brand new T-Mobile Galaxy Note for $349 off-contract. 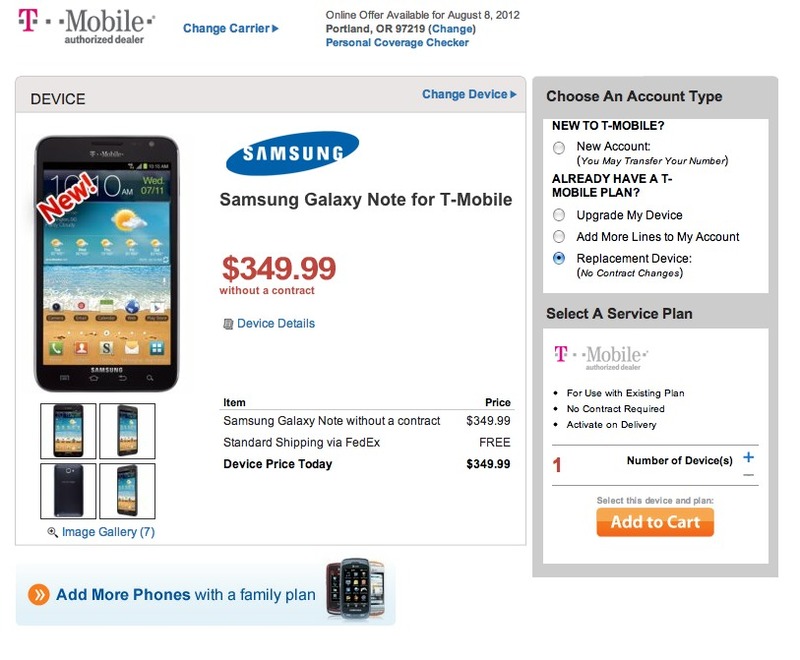 You can grab it for free with a contract, but at $349, it’s only $100 more than T-Mobile is selling it for on-contract. Sites like Wirefly, who normally discount devices like these to death, still have it listed as $229 on-contract. Update: This was clearly an error. The device is no longer listed with Walmart at all. In fact, the link below now directs to some cheap Prism phone. If you are out of contract and thinking about T-Mobile, this wouldn’t be a bad choice. Grab yourself an off-contract Note and sign-up for a prepaid plan. Tough to beat that idea.